One of the most dramatic industry partnerships has been unveiled today. The revolutionary multi-patented Synergy Grill technology will, for the very first time, be available to those desiring a suited chargrill solution, thanks to a unique agreement between Synergy Grill and the leading prime cooking provider, Lincat. Synergy Grill has never before allowed its unique British made advanced grill technology to be used by another company, although the benefits of; massive energy savings, cleaner, safer kitchens, cleaner ventilation shafts and above all higher food quality, are now being increasingly specified by a wide range of end users. Lincat will be adding the two new chargrills, incorporating the Synergy Grill technology, to its Opus 800 series offering, in both single and double formats. 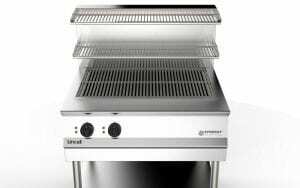 For further information on the full Synergy Grill range or to arrange a demonstration, visit www.synergygrill.com, call 01480 811000 or email info@synergygrill.com. 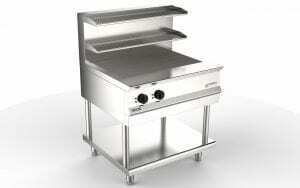 To enquire about purchasing an Opus 800 series Synergy Grill please visit www.lincat.co.uk or call 01522 875500.